Many people, especially outside Masonic organisations, see Freemasonry as a single, worldwide organisation. This is far from the truth. There are many different organisations, Masonic, affiliated, semi-Masonic, even pseudo-Masonic. The rough division is: Freemasonry that is related to the first Grand Lodge, the United Grand Lodge Of England (UGLE), founded in 1717; and Freemasonry that is not. Read more about that discussion here. 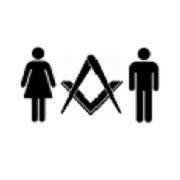 This website gives information about mixed gender and female only Freemasonry. Visitors from the Netherlands and (Dutch speaking) Belgium are invited to visit the Dutch-spoken version of this website which is (much) more in depth about their countries. There are different ways of working within Freemasonry. Read more about these different Rites here. Feel free to add, correct and complement me using the comment fields below the pages. What you find here is just the result of me digging through (foreign language) Wikipedia pages, websites, Google results and whatnot. 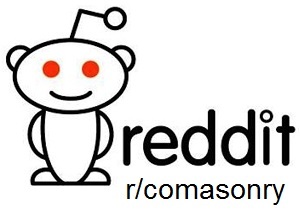 I am sure there are organisations and lodges that I missed or perhaps I listed some organisation that is perhaps Masonic in name, but not Freemasonry as such. When you know something that I do not, let me know. I have not started the task of finding out which organisation recognises which. That would be quite an ordeal. I did -however- start to list if an organisation is member of one of the larger umbrella organisations such as CLIPSAS, CLIMAF or Catena. When you are member of an order that is member of CLIPSAS (to name one) and in some country that you intend to visit you find a lodge that is member of an order which member of CLIPSAS, there is a good chance that you can go out and visit. Make sure to go through the official route of your Secretary though. (S)he may know lodges that you had not yet found yourself too. I mentioned a few umbrella organisations that you could see if it includes your country. A lodge that is a member of either organisation is not necessarily mixed, but at least acknowledges and recognises mixed and women’s lodges. International Masonic Union “Catena” with members in Germany, France, Czech Republic and Spain. Please use the navigation on top and right to find your way around here and/or go here for more general information.